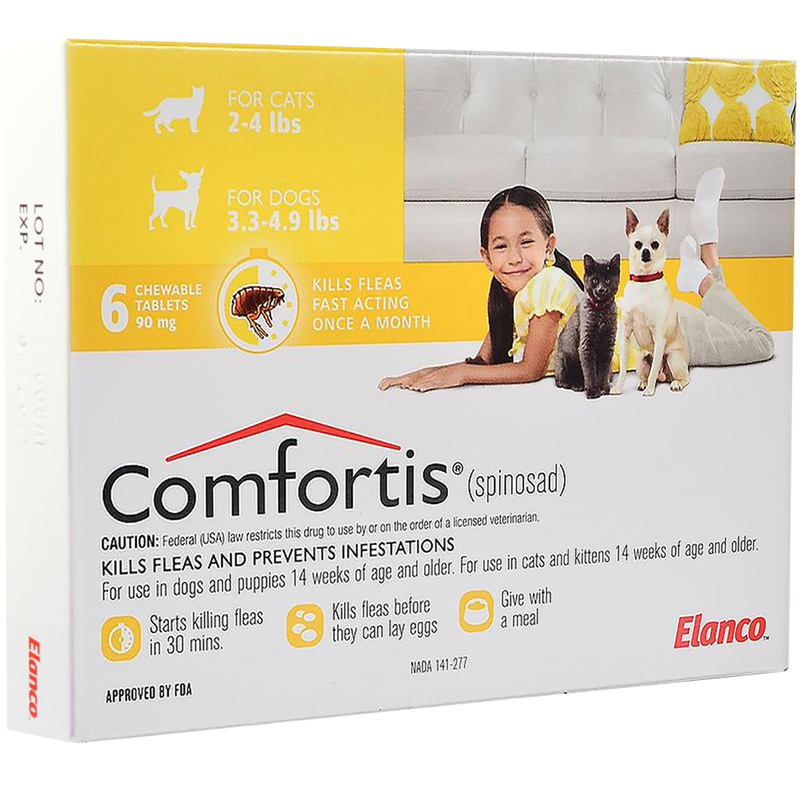 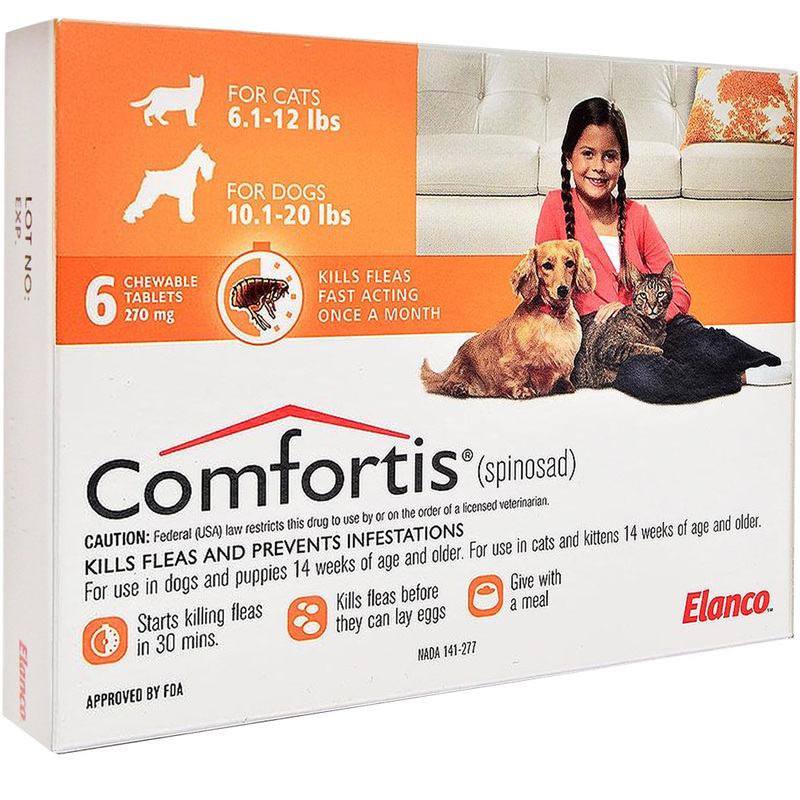 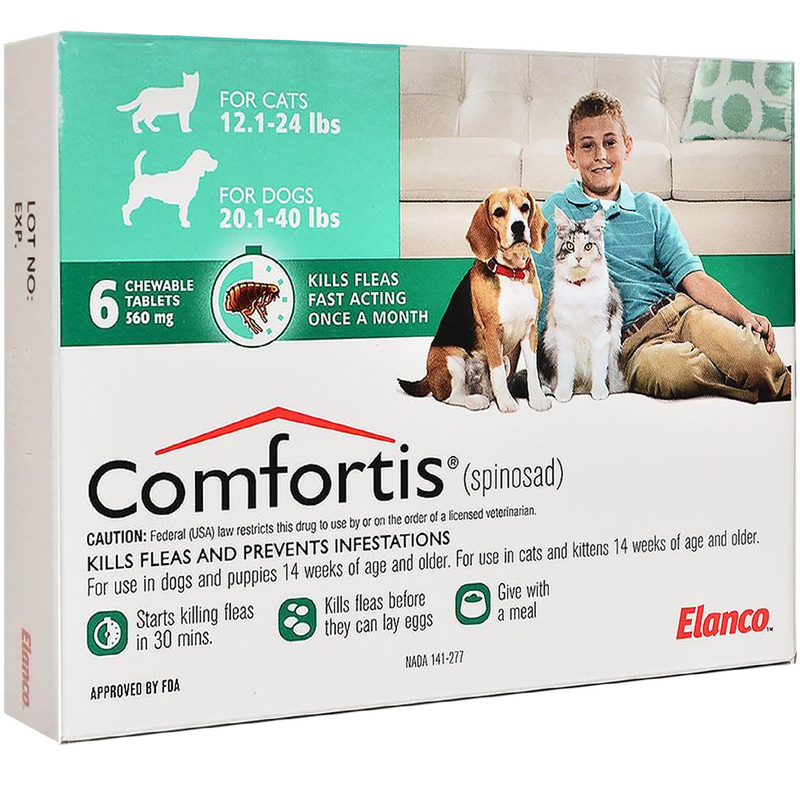 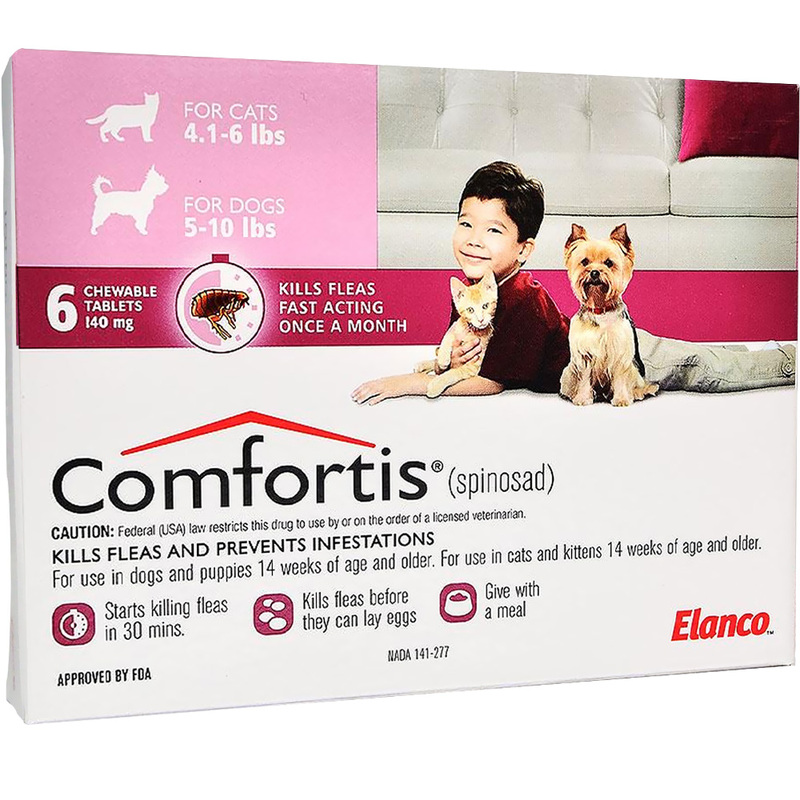 Comfortis (spinosad) is a fast, safe and effective treatment for flea infestations on your dog or cat. 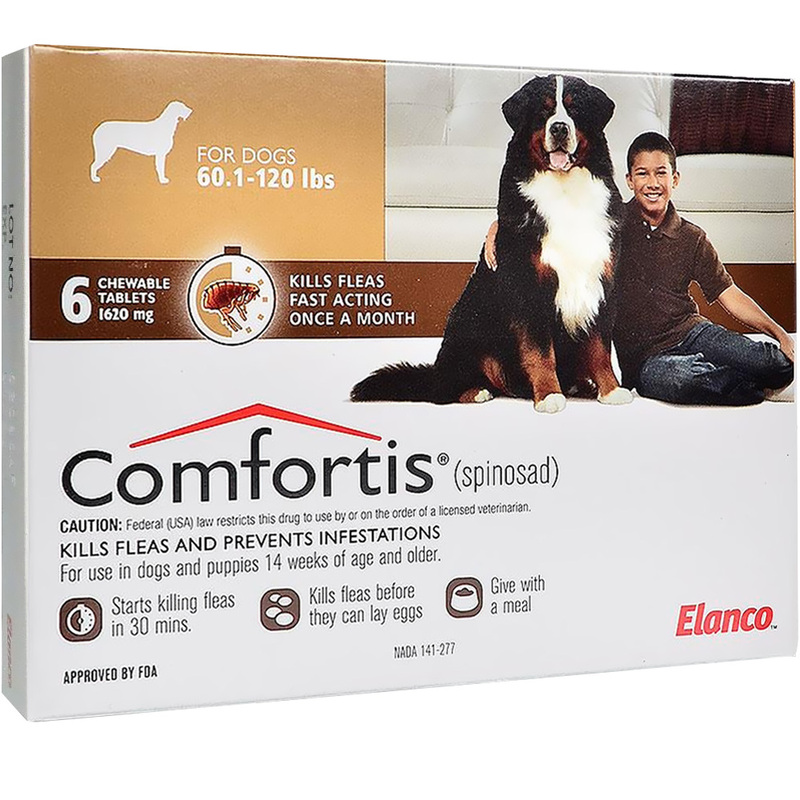 In a controlled laboratory study in dogs, Comfortis killed 100% of the fleas in just four hours. 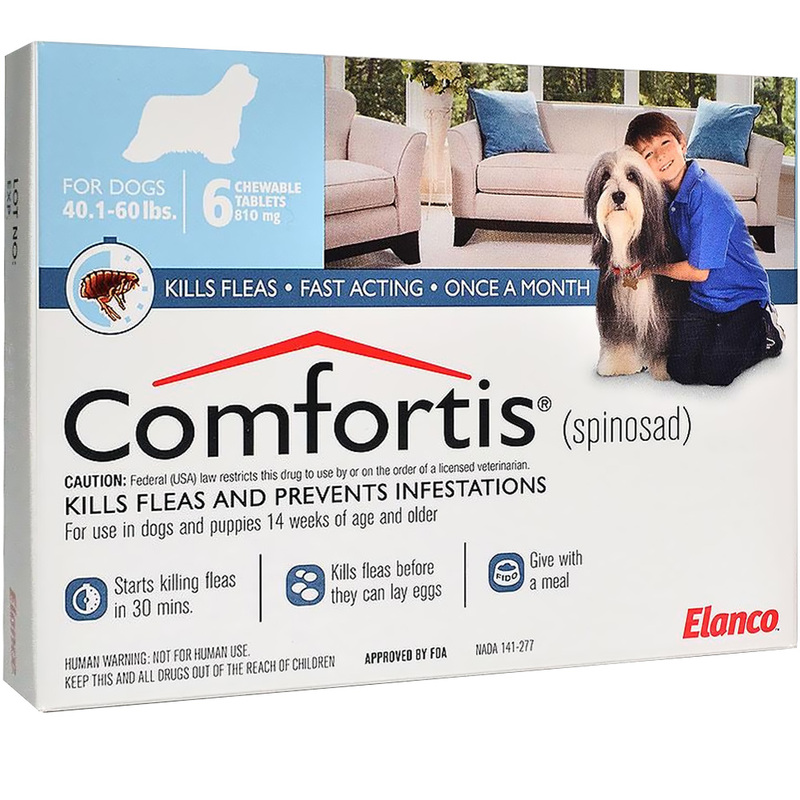 It is a flea-only medication available only via prescription from your veterinarian.